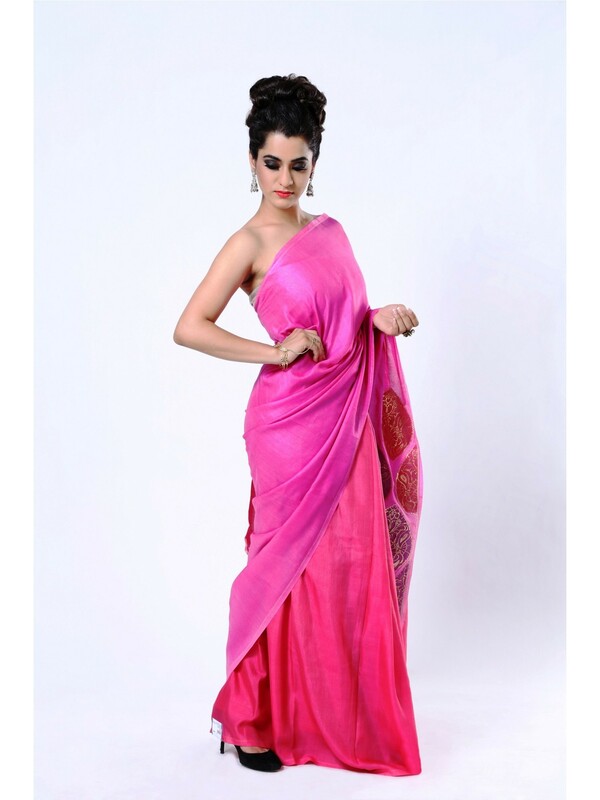 Handcrafted to a standard of perfection, this pure silk saree in shaded pink is a red carpet worthy pick. The bold leaf motifs on pallu are woven in gold threads and expertly hand painted in contrast colors for resplendent look. 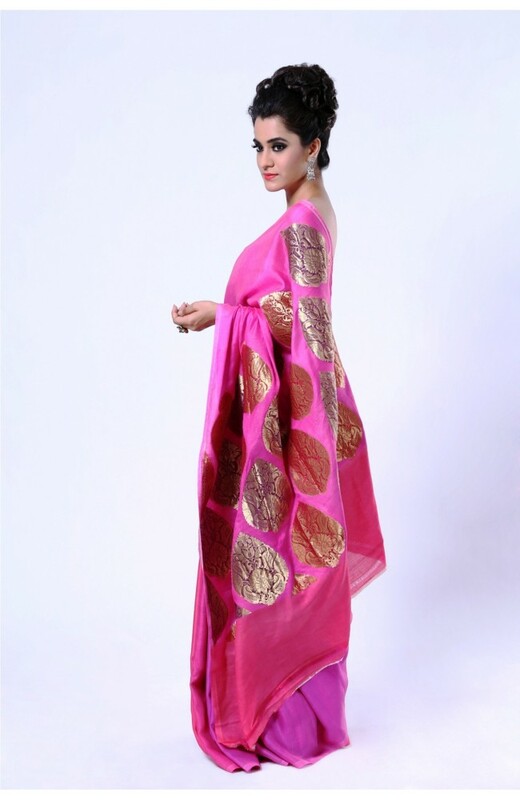 This otherwise plain shaded pink saree with a rich blouse is a standout piece to pick. The blouse in coral color also features gold butis all over it. Add minimal but perfect accessories and you are wow-worthy.